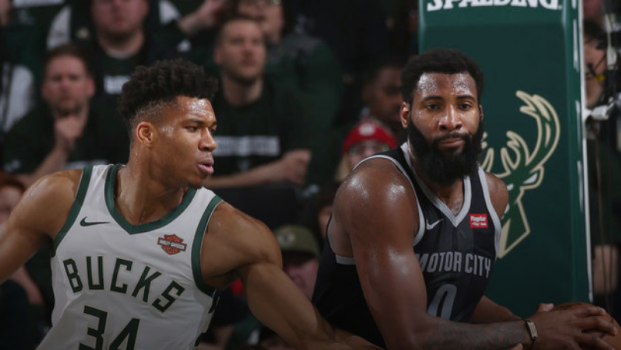 Giannis (left) and Drummond (right) compete for a rebound (Image courtesy of the NBA). The Celtics beat the Pacers 84-74 off a 20-point night from Kyrie Irving. 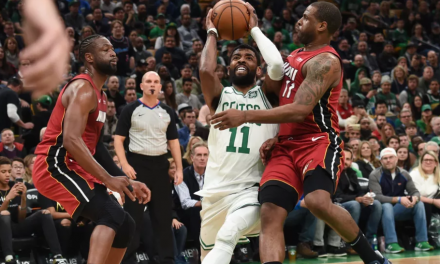 The Celtics star added 5 rebounds and 7 assists, and Jayson Tatum added 15 points on 55% shooting. Al Horford chipped in with 10 points, 11 rebounds, and 5 assists for the Celtics. The Celtics shot just 36.4% from the field, but the Pacers shot even worse, going 28 for 84 (33.3%) from the field. Off a 30-point night from point guard Damian Lillard, the Trail Blazers take a 1-0 lead in this playoff series. Russell Westbrook recorded his ninth playoff triple double with 24 points, 10 rebounds, and 10 assists, while co-star Paul George scored 26 points to go with 10 rebounds and 4 steals. 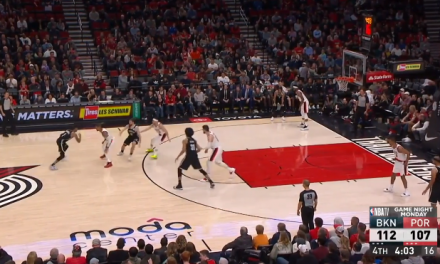 CJ McCollum added 24 points for the Blazers, and Enes Kanter scored 20 points and registered a game-high 18 rebounds. 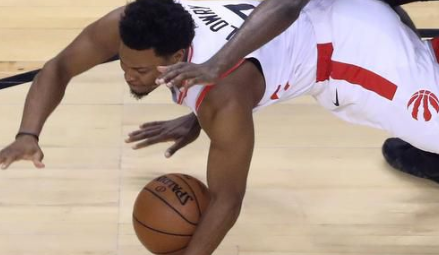 The Bucks took the lead early and never let up—and no starter played more than 25 minutes for the Bucks. Milwaukee star Giannis Antetokounmpo scored 24 points to go with 17 rebounds and 4 assists in just 23 minutes. 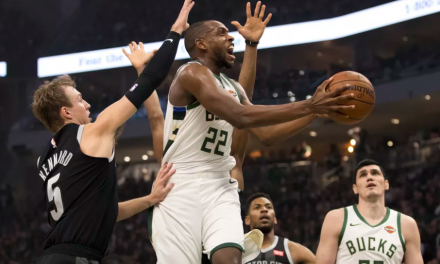 The Bucks played well as a group, too: 7 Bucks scored double-digit points. Luke Kennard scored 21 points off the bench for the Pistons. Led by reigning-MVP James Harden, the Rockets defeated the Jazz in a 32-point blowout, 122-90. Harden scored 29 points and recorded 8 rebounds and 10 assists. Gobert led the Jazz in scoring and rebounding, with 22 points and 12 rebounds. The Rockets had 10 turnovers to the Jazz’s 18. NextGarneau Utopia: The Results are Out!